Staci Woolley is planning on swimming Syracuse and Wawasee lakes May 26 to raise scholarship funds. On Saturday, May 26, Staci Woolley plans to swim the entire length of both Lake Wawasee and Syracuse Lake in one continuous swim. She is taking pledges from friends, family and anyone who wants to contribute as extra incentive for completing the task. All funds collected will be donated to the MatserWorks Festival Scholarship Fund. Staci’s sister, Mariah, will be participating in the festival this summer. “This is something I’ve always dreamed of doing,” Staci said recently. “Now I’m finally getting a chance to do it.” Staci is a home schooled high school sophomore. A swimmer for Kosciusko Community YMCA Sharks swim team, she has competed in other open water swims in the past, including a 5K swim at the Indiana State Open Water Championships last summer. 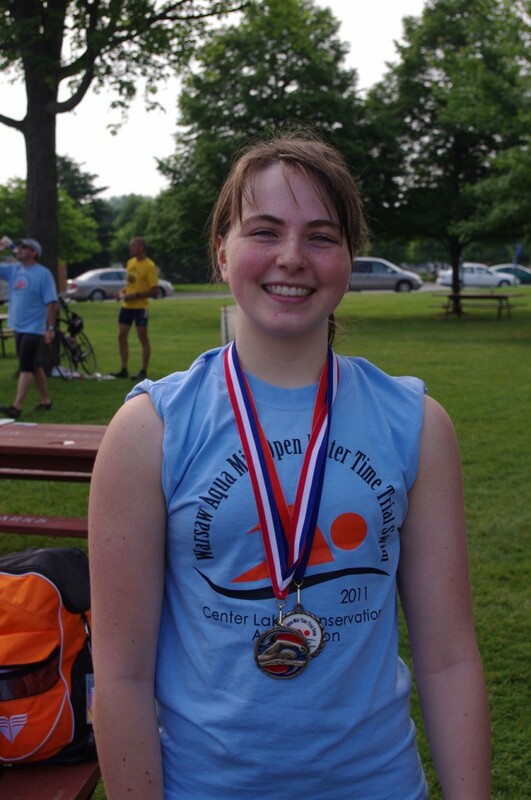 She was the first place female finisher in last year’s Aqua Mile on Center Lake in Warsaw. This will be an individual swim and is not affiliated with any swim team or organized event. For safety purposes, Staci will be accompanied by a support team as she cross the lakes. For more information, Staci can be contacted at (574) 457-4745.